These 2-day sessions, held at Madigan Military Hospital’s Andersen Simulation Center, focus on learning how to use medical simulators to teach residents and medical students various procedures, depending on the “theme” of the sessions. FMRN faculty will also learn how to use simulators to teach residents and students how to function as members of a team providing coordinated care in emergency situations. Themes will usually be one of the following: OB, trauma, adult life support, pediatric life support, or miscellaneous procedures (e.g. vasectomy, LP, joint injection). One faculty person per Network program per year may attend. If space permits, programs may send more than one faculty person. Training sessions always take place on Tuesday afternoons and Wednesday mornings. Madigan faculty are teachers, FMRN faculty are learners (4 groups of 1-2 people). 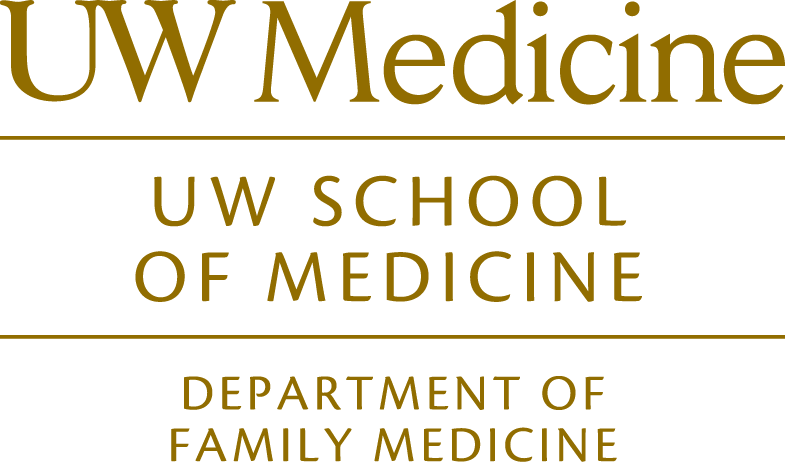 FMRN and Madigan faculty are teachers, Madigan residents and medical students are learners (4 groups of 3 – 5 people). 1pm-5pm for the afternoon sessions. Many programs have participated in the simulation training at Madigan Military Hospital’s Anderson Simulation Center, and now there is another option for the WWAMI Family Medicine Residency Network programs: Madigan’s simulation experts can come to your program to consult on ways to more effectively use the simulation resources at your site. The Network will cover the travel costs for these simulation training road shows. Day 1: Afternoon, train-the-trainer with program’s simulation faculty. Day 2: Morning, program’s residents participate in the simulations set up on Day 1. Afterwards, debrief/coaching with simulation faculty. If your program interested in this train-the-trainer opportunity, please contact: Marcia McGuire at mmcg@uw.edu or 206.685.4119. ). The Madigan fellows’ time is covered; your program would only have to cover travel and lodging for the Madigan fellows to come to your program to facilitate the Traveling Faculty Development Topics. Go here for more information. Madigan has its own Faculty Development Fellowship within the military. As Program Director of this fellowship, Dr. Doug Maurer has designed faculty development material across many topics. He had made these materials available to the Family Medicine Residency Network faculty. Fall Faculty Development Conference, November 9-10, 2016, 7:30 a.m. – 4:00 p.m., breakfast and lunch provided. Please RSVP with Dr. Douglas M. Maurer, Program Director for Madigan Faculty Development (douglas.m.maurer.mil@mail.mil). Dr. Maurer will also provide directions to the events.